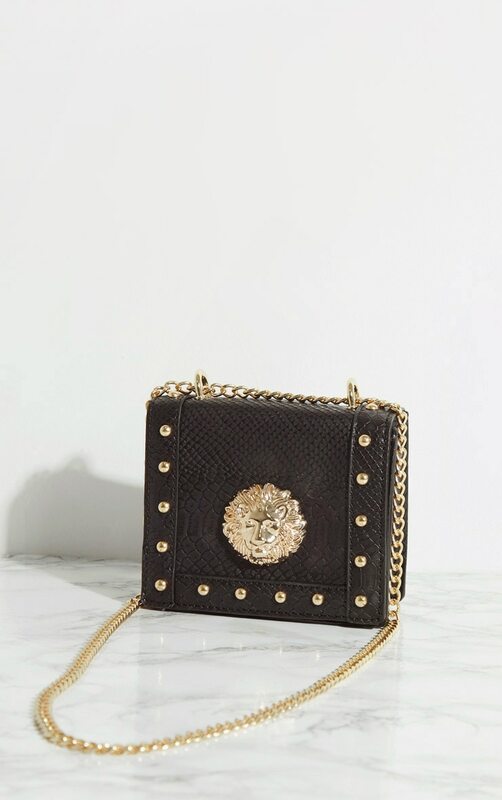 Finish off your weekend look with this cross body bag. 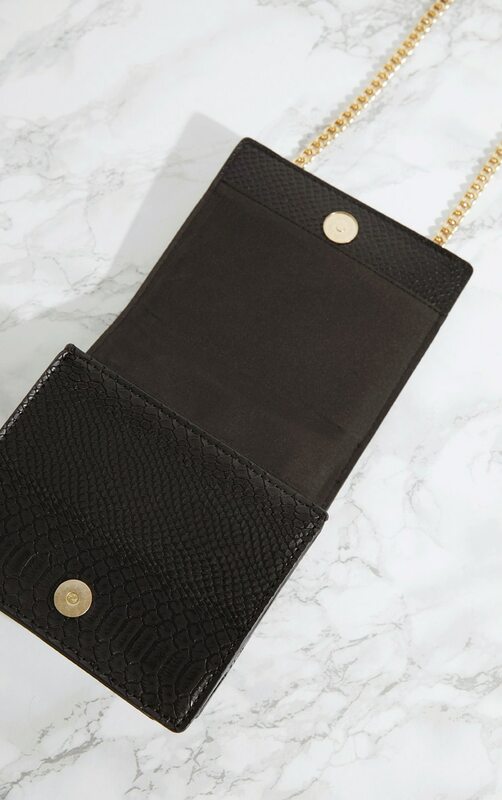 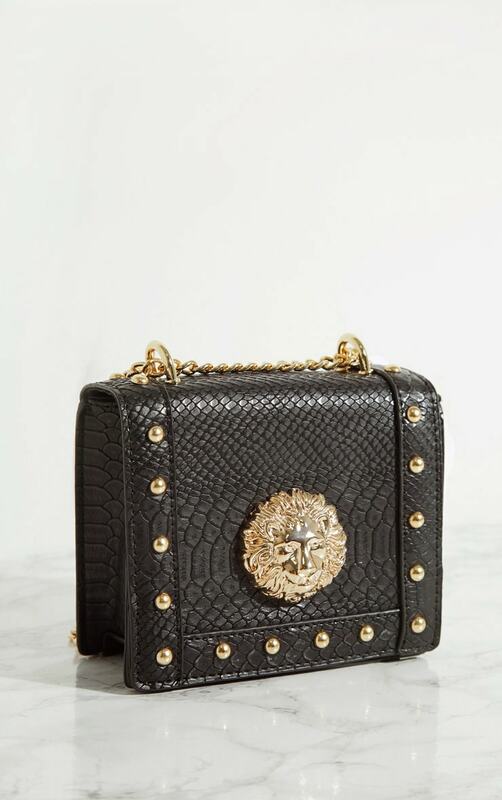 Featuring a black croc print material with a gold lion stud and gold chain strap. 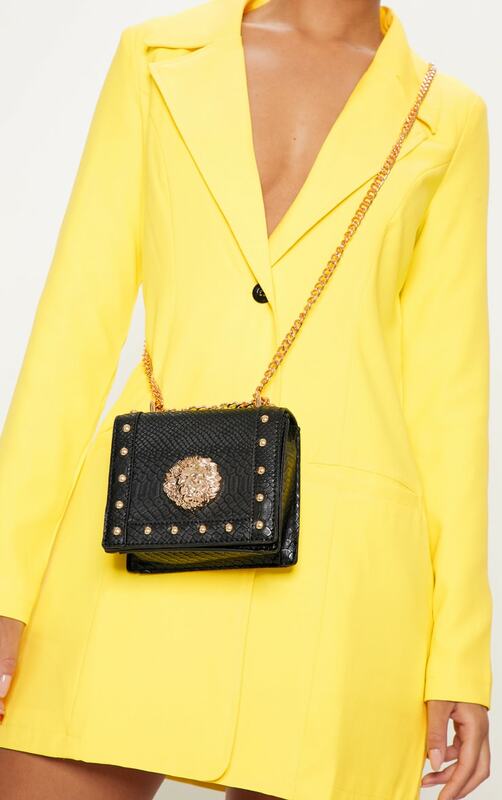 Team over a yellow blazer dress and strappy heels for a look we're loving.